The Guest was His Royal Highness The Prince Consort of Denmark. He came to visit Malbork Castle. And I was appointed His Royal Highness’ guide to the history of the place. HRH was accompanied by Mr. 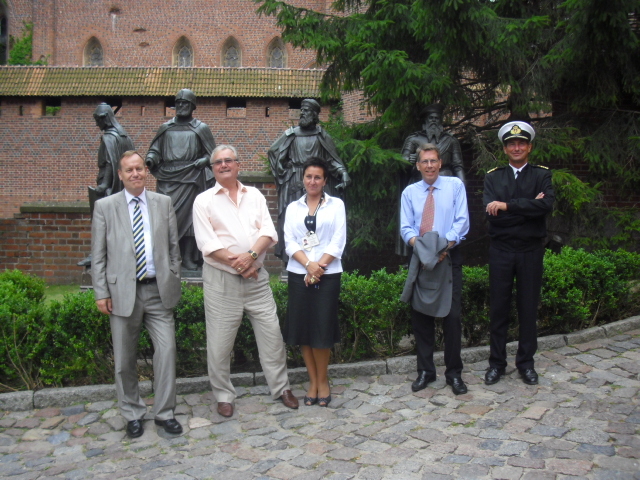 Ambassador of the Kingdom of Denmark in Poland, the Honorary Consul of the Kingdom of Denmark, and the group of Nobles. As if the stress was not enough – the Director of the Castle Museum was present with his watchful eyes and ears. It was a great honor, and a true pleasure to be the guide of such a Guest. I was glad I could answer many interesting questions. And truly, if not for the announcement, I would have never known that the smiling and king gentleman touring the castle with me – was His Royal Highness. Between us guides, we have the classification of our guests. Either we call them “stones” or “butterflies”. His Royal Highness and accompanying persons were definitely Butterflies. Mr. Consul, thank you for the photographs.